Have you noticed the Publix Flavor Excursions promotion in stores yet?. 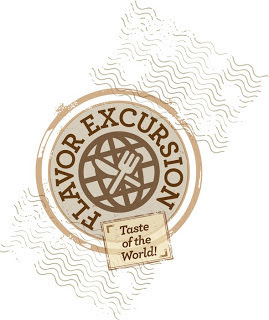 Through September 17, you can explore the "tastes of the world" by shopping for select items on sale. Not only are the items on sale but they also correspond with recipes in the in store coupon booklet as well. You can grab these coupons digitally by visiting www.publix.couponselectionpage.com and also print them from home at www.everydaysaver.com/publix. These values are limited so get to printing as soon as possible! In addition to the Flavor Excursion event, Publix has a sweepstakes going on in which 500 shoppers will receive an $100 gift card! You can visit here where you will have the option to register and enter. Want another chance to win? One Couponing & Cooking reader will win a $25 Publix gift card thanks to My Blog Spark and Publix. Use the Rafflecopter widget below to win. Giveaway ends at midnight on Monday September 23rd. Disclosure: The information and prize pack above were provided to my by My Blog Spark and Publix.